Sansevieria is only new to the United States. People in the United Kingdom and Australia have been growing them for some time. 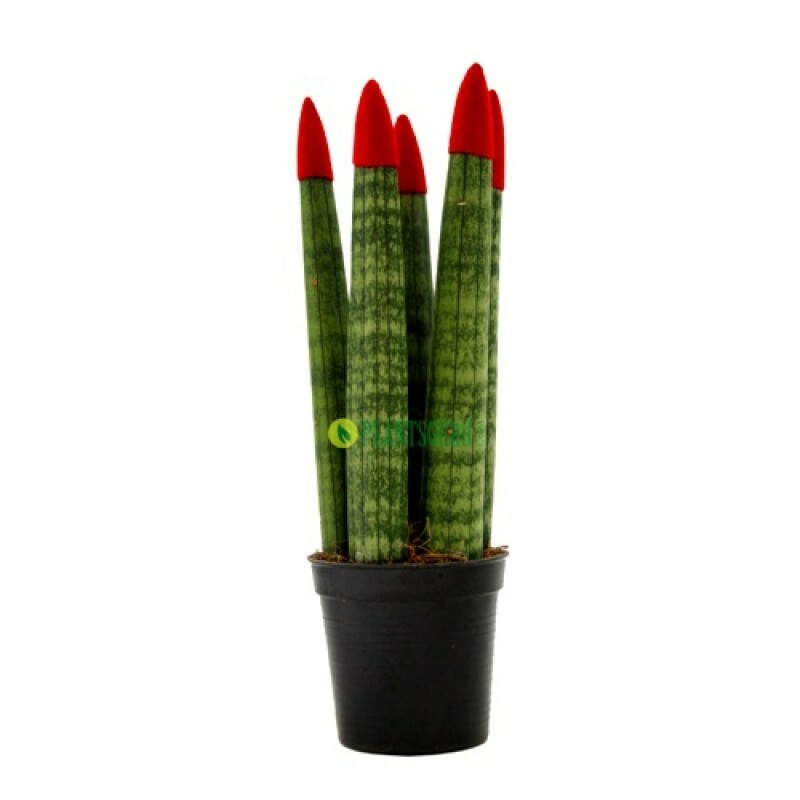 Sometimes called the African spear plant, the Sansevieria cylindrica has all the ease and durability of the popular snake plant and the appeal of lucky bamboo. The plant consists of stout, cylindrical spears that spring from the sandy soil. They can be braided or left in their natural fan shape. Best of all, they can be almost ignored and the plant will thrive. Light: Bright, filtered light, but highly tolerant. Water: Can survive long periods of drought. Water monthly or less in winter, weekly or every other week in summer. Temperature: Above 50ºF, but can survive cold spells. Soil: Use a fast-draining cactus mix. Fertilizer: Feed during growing season. Do not feed during winter. African spears can be divided when several spears are present, but it's usually best to buy a new plant. Repot annually or every other year in the spring. They will survive being rootbound. The basic species is Sansevieria cylindrica, although there are a few varieties available, and some growers have experimented with braiding or shaping the basic plant. Spear-like Sansevieria may be lightly banded or solid colored, ranging in size from 12 inches to 24 inches. All species, however, are equally hardy. These are almost foolproof plants. They can survive long periods of drought, haphazard feeding, and being root bound. Similarly, they can be acclimated to deep shade or bright light. Truly, they thrive on neglect. One exception to this rule: their pots must be well drained. Like succulents, the roots cannot be allowed to sit in water or they will begin to rot. These make great desktop plants for people who want something besides lucky bamboo. They bear small flower spikes arising from the base of the spears. plants height with pot is 9 inch and pot size is 5 inch diameter.